is a Singapore brand of advanced wellness solutions with a focus on preventive care. Founded on 10 Aug 2007, avita is distributed worldwide by independent distributors based on the network marketing business model. Scent'al World is the largest network of avita distributors complete with distributor training and support capabilities. The official website for avita is www.Myavita.com. 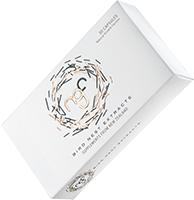 Celergen Swiss Marine Cell Therapy Supplement is potently formulated with Marine DNA Cellular Extracts for supreme rejuvenative, regenerative and anti oxidant properties. Made in Switzerland, Celergen is able to awaken dormant cells within the human body, thereby stimulating the growth, activity of existing tissues and the repairing and regeneration of old and malfunctioning cells. Celergen Serum Royale is an advance anti-aging serum that offers cell regeneration directly on facial skin, boosting collagen sythesis, aiding repair to damaged skin. Made in Switzerland, Celergen Serum Royale will give you a healthy and more youthful complexion. NGF is a specialised supplement for repair and regeneration of our nerve cells, thereby safeguarding the health of our autonomic nervous system. Made in New Zealand, it is a synergistic formulation of Natural Growth Factors from Premium Bird Nest Extracts. 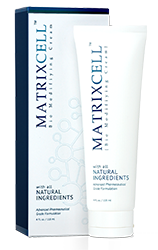 Matrixcell is a bio-modifying cream that is scientifically proven to stabilize the breast extracellular matrix for breast cancer prevention. Made in the USA, its synergistic formulation of all natural ingredients has superior anti-nflammation property, its transdermal orthomolecular mechanism ensures supreme absorption and it is of pharmaceutical grade quality. For 3000 years, the use of herbs in Traditional Chinese Medicine is time-tested. 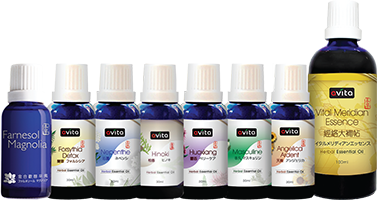 With modern biotechnology, avita has captured the healing properties of herbs into essential oils for for health enhancement and prevention of illness. We founded the Meridian 101 D.I.Y. self-healing acupressure and guasha workshop series under essentiallyMERIDIAN to promote meridian therapy and educate on the simple and effective uses of this herbal essential oil series. 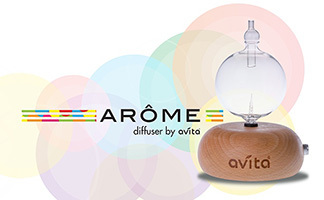 ARÔME Diffuser utilizes “Bernoulli's Law of Hydrodynamics” with the concept of oscillating gas atomization to effectively vaporize pure essential oils into millions of micro-particles. These particles are released into the atmosphere at a rapid speed, transforming them into highly-concentrated anions through friction with atmospheric particles. As such, they neutralize the harmful positive agents found in our environment, effectively purifying the air and killing germs. In the meantime, the aroma of avita’s pure essential oils fill the room with a light fragrance - you’ll instantly feel more relaxed and in better spirits. avita’s Nutrition care is your 24/7 nutritional specialist. Our products contain nutrients that are specially selected and most needed by your body, providing you optimum health results. Your body’s needs for nutrition and healthcare will be well taken care of. While boosting your nutrient levels, don’t forget to maintain a regular lifestyle with moderate exercise, adequate intake of water and a well-balanced diet. 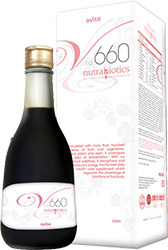 Formulated with more than hundred varieties of fruits and vegetables, herbal plants and reishi; Vita 660 undergoes 660 days of fermentation and is a potent enzyme concentrate with multiple comprehensive functionalities. Vita660 regulates our body to remove toxic waste and maintains the balance of intestinal bacteria to strengthen the resistance of our immune system. 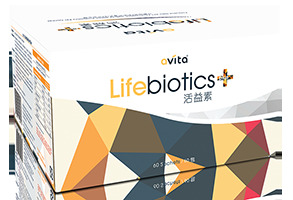 LifeBiotics + contains 12 billion probiotics per sachet, providing a good source of nutrient for the beneficial bacterial in the intestines. In addition, collagen, calcium carbonate and vitamin D3 are added in the formula to help increase collagen intake which improves skin elasticity, replenish calcium intake and enhance skeletal health. 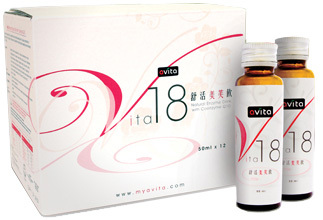 Vita 18 is a potent supplement Enzyme concentrate, which is formulated with a powerhouse combination of synergistic abundance of enzymes, extracted from 35 carefully selected fresh fruits and vegetables and a program of probiotics. Regardless of your skincare regime, the need for a moisturizing hydrating infusion is universal. Formulated with patented anti-aging science and researched and developed in Japan, avita’s Pure Secrets brings you “5 Magical Secrets” that help moisturize, hydrate, brighten, prevent and correct the visible signs of aging. Reverse the effects of environmental damage on your skin with avita’s latest Botanique Series of shampoo, bath oil and facial wash. Inspired by Nature, each Botanique product is enriched with botanical essence to pamper your body, mind and senses with a transformative whole body wellness experience.